Ah, prepositions! They are used more frequently than any other individual words in English. Yet we often avoid teaching them because they are difficult — or downright boring. And with about 150 of them, many with more than one meaning, where do we start? Grammar books suggest dividing them into 3 sections: prepositions of time, place and movement. Giving students a list of examples falls in the “boring” category. Try to liven things up a bit with a little action, a little involvement. An excellent exercise is to play In-On-At-Dominoes. 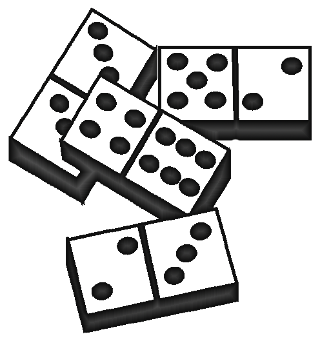 See the activity, complete with a downloadable template of the dominoes, at Teach-This.Com. Another activity is to make a bunch of cards— half with time expressions such as 9 o’clock, Saturday, February, etc. Put these in a pile on the table. The others have phrases such as School starts . . ., I wash the car . . ., Valentine’s Day is . . . , etc. Pass several of these out to each student. Pick up a card from the table and ask students to show a card with an appropriate phrase. They must add the correct preposition. The student who places the most cards accurately wins the game and gets a little prize. Watch for a future blog with prepositions of place: in, on, and at. Do you have a method for teaching time or other prepositions? Please leave a comment and share it with your fellow tutors.